What Are The Best Debt Relief Companies? HomeBlog Debt ReliefWhat Are The Best Debt Relief Companies? Are you buried in debt? Do you wake up wondering how many times today you’ll receive threatening phone calls from irate creditors? Does the idea of having to open yet another overdue bill give you a splitting headache. 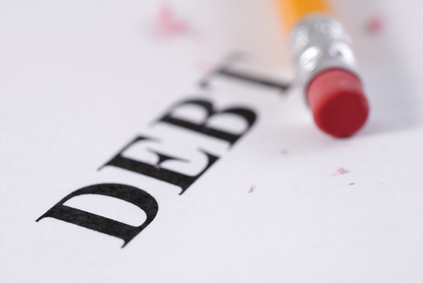 There are ways to achieve debt relief but what are the best debt relief companies? While there are a number of different ways to achieve debt relief, the most effective is called debt settlement. This is where your debts are settled in a lump sum for less than you actually owe. The best debt relief companies can settle debts for forty or fifty cents on the dollar, which saves their clients literally thousands of dollars. The first thing to look for in evaluating a debt relief or debt settlement company is how long it’s been in business. You might be able to trust a company that has been in business for a year or less but it’s hard telling. It might not have many reviews or comments from satisfied or dissatisfied customers simply because it hasn’t been in business long enough to have a history. Also, its counselors won’t have had a great deal of experience at negotiating with the credit card and personal loan companies. It’s much better to choose a debt relief company that has been in business for five years or longer and has a good record of satisfied customers. It’s also important to know whether or not the debt relief company you’re evaluating has good, experienced counselors. When this is the case, the counselor assigned to help you usually negotiates better settlements – which will get your balances reduced to help you get out of debt quicker. The best debt relief companies never charge any fees upfront. There will be fees involved but you will not be required to pay them until you approve a payment plan. In the event that you are dissatisfied with the plans you are offered, the best debt relief companies will let you walk away without charging you a cent. In comparison, an unethical debt relief company will insist you pay upfront and then might not ever really settle your debts. Unfortunately, by the time you figure out what’s happening your money is gone and you may be in worse shape than before you contracted for debt relief. There are websites that have reviews of many of the of debt relief companies. The best ones will have a preponderance of good reviews but a few negative ones as well. It’s just impossible to have 100% good reviews in the debt relief industry because no company can meet everyone’s expectations. For example, if a person signed up for debt settlement in the belief that it would eliminate all of his or her debts and then finds out that some of them could not be settled because they were secured debts, that person might have become angry and submitted a negative review. The best debt relief or debt settlement companies usually belong to AFCC (American Fair Credit Council) and the United States Chamber of Commerce. They also generally are BSI certified meaning that they operate a Quality Management System, which complies with the requirements of AFCC Best Practices: 2011. Finally, the best debt relief companies will have a high rating with the Better Business Bureau (BBB) of A or A+. BBB ratings go from A+ to F. They are based on factors such as the number of complaints filed against a business, if the BBB considers the complaints to have been serious and whether the business responded appropriately to any complaints. You can find a business rated NR or “No Rating”. This generally means there is not enough information about the company to rate it, which could be a red flag.